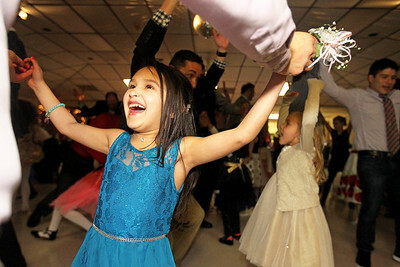 Candace H. Johnson-For Shaw Media Selma Marchan, 6, of Mundelein dances with her father, Danny, to the song, "YMCA," during the Enchanted Princess Ball at the Regent Center in Mundelein. 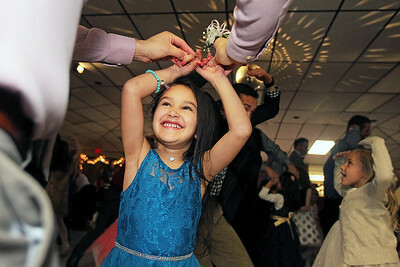 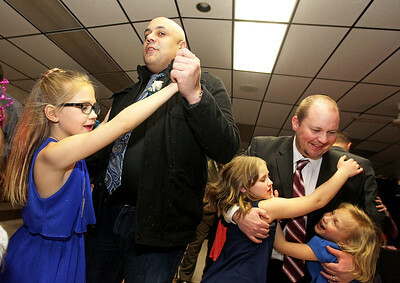 Candace H. Johnson-For Shaw Media Katie Latham, 8, and her father, Duane, dance next to Kurt Erickson and his daughters, Ava, 9, and Lauren, 6, all of Mundelein during the Enchanted Princess Ball at the Regent Center in Mundelein. 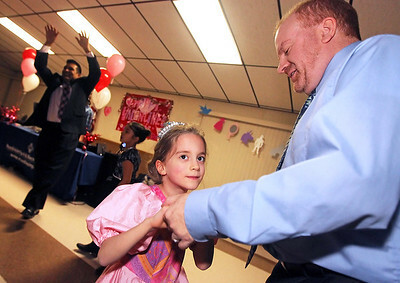 Candace H. Johnson-For Shaw Media Mara Nold, 6, of Mundelein dances with her father, Andy, during the Enchanted Princess Ball at the Regent Center in Mundelein. 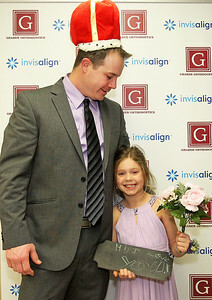 Candace H. Johnson-For Shaw Media Scott Lueders, of Mundelein looks at the sign his daughter, Audriana, 7, was holding during the Enchanted Princess Ball at the Regent Center in Mundelein. 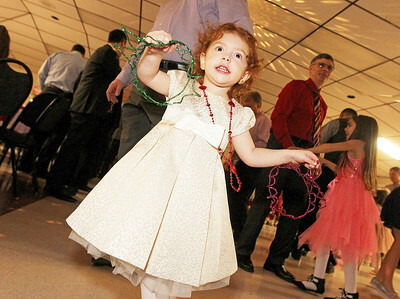 Candace H. Johnson-For Shaw Media Everly Ellicson, 3, of Ingleside dances with her father, Adam, during the Enchanted Princess Ball at the Regent Center in Mundelein. 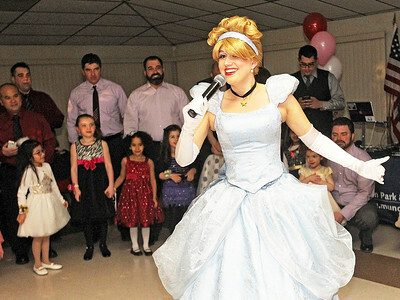 Candace H. Johnson-For Shaw Media Cinderella makes an appearance and teaches young girls how to dance with their fathers during the Enchanted Princess Ball at the Regent Center in Mundelein. 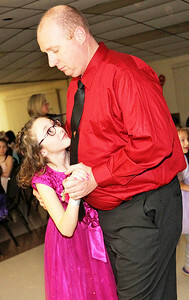 Candace H. Johnson-For Shaw Media Skylar Brown, 11, of Mundelein dances with her father, Mike, during the Enchanted Princess Ball at the Regent Center in Mundelein. Skylar Brown, 11, of Mundelein dances with her father, Mike, during the Enchanted Princess Ball at the Regent Center in Mundelein.